Want to learn to work with wood? Learn to set up and use all major woodworking tools including the table saw, jointer, planer, drill press, band saw, and more. Classes meet in a well-equipped woodshop, featuring 2 sawstop table saws, two jointers, 24" planer, wide board sander, lathes, and much more. 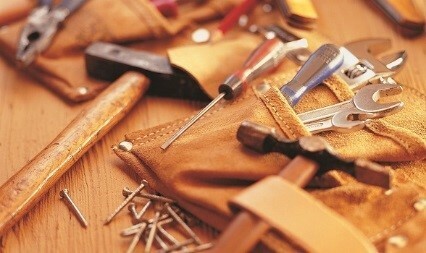 Students will complete three projects designed to teach practical use of each of these tools, as well as basic techniques. Upon completion, feel confident enough to not only use all of these tools, but to make wise purchases of your own tools. A $120 materials fee is payable to the instructor on the first day. This class fills up fast! Please read: $120 materials fee that covers everything!